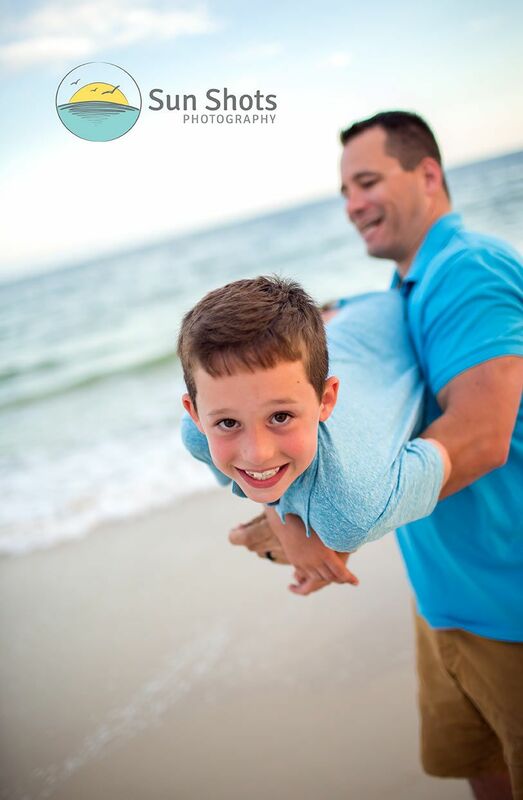 Summer is finally here and we want to interview for the job of your family photographer in Gulf Shores. We are a husband and wife team with over fifteen years of family portrait experience on the beach. We are the old school photographers you have always heard about and our artwork is something that you will cherish for decades to come. We go over the top and use our craft to create art that stands out from the crowd. Family beach portraits should be fun and exciting, not about how quick you can be shuffled in and out. We stress the fun, and with two of us, we provide each and every family session with the absolute attention it deserves. Take for instance our awesome family photo session from last night. These guys had a blast and mom gets to go home from vacation knowing that she now has photographs that represent the fun they had. It is not about just going and taking snapshots. It is about making art, and we do it well. We are masters at capturing the moment and allowing families to be themselves on film. Putting clients at ease and allowing them to relax and enjoy a portrait session is what we are all about. Our experience matters and we want to help your family capture art that will represent you for decades to come. We understand it is not easy to just show up at a photography session and act like a professional model. So don't worry, we promise to make feel like a pro!